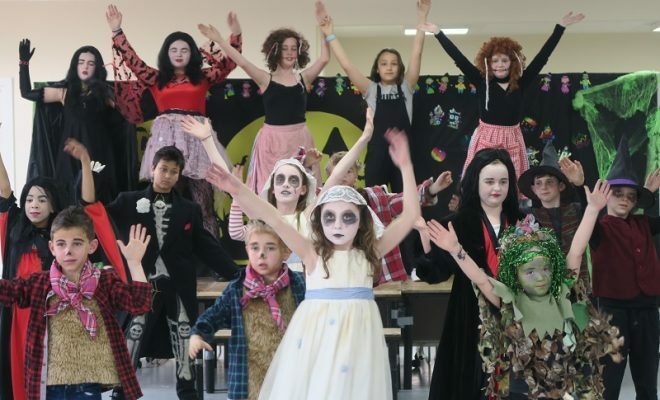 Following the success of Tiffany’s Summer School in July, she will be continuing with her own exciting Easter Drama School. We are thrilled that she is continuing with her holiday drama schools and wish her all the best. Details of Tiffany’s Easter school are below. Please contact her directly if you would like to take part. To book a place or for more info contact Tiffany Hannam Daniels at tiffanydaniels@aol.com or 07835 513078. Or visit us on Facebook at www.facebook.com/Tiffanys-Holiday-Drama. Journey back to the 1920’s with us to follow the exploits of two rival gangs of bumbling, half-witted gangsters as they battle it out on the streets of New York. 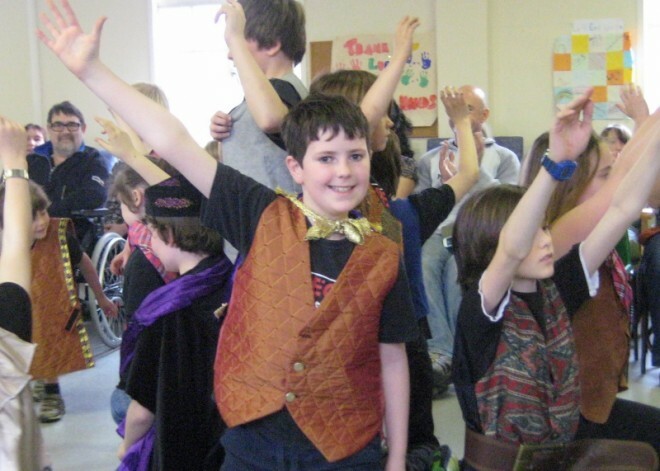 Join Bugsy, Tallulah, Blousey and all the gang in the coolest joint in town, ‘Fat Sam’s Grand Slam’. Glitz, Glamour, Splurge Guns and the odd custard pie fight thrown in for good measure! You don’t want to miss it! Enter the world of cauldrons, potions and creatures of the night where fake fangs and swishing capes abound. The full moon is rising as three children discover the magical world of Transylvania. The Count is alone in his castle, or is he… all is not as it first appears. Fangtastic fun for all the family! An elite squad of young secret agents, made up from the brightest children across the globe, are on a mission to save planet earth! Meanwhile, Dr Drax, an evil genius, has created an Alien Army and plans to destroy the world! Prepare for battle… but who will save the day? 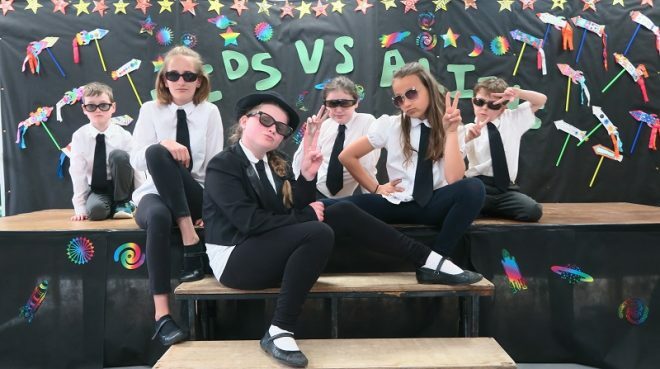 ‘Men in Black’ meets ‘Spy Kids’, with a bit of ‘James Bond’ thrown in for good measure. An exciting mash up of Alien Action Adventure, in the ultimate battle to save humankind! This Easter we stepped into a world of pure imagination as we created a play in just 4 days inspired by the famous book by Roald Dahl. We joined our much loved characters Charlie, Verruca, Augustus, Violet and Mike-TV on a chocolate filled adventure, with plenty of Oompa-Loompas thrown in for good measure. 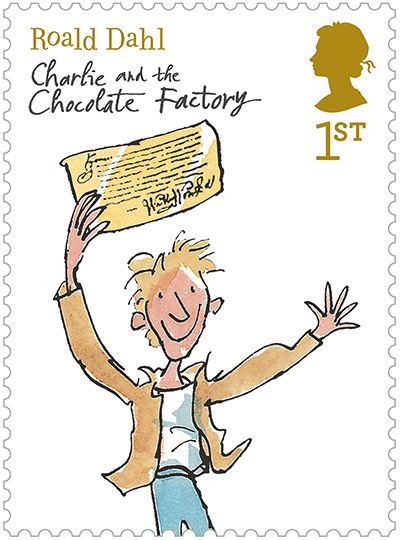 A golden ticket was the key for a creative journey to the magical world of Mr Willy Wonka’s Chocolate Factory… the most amazing, the most fantastic, the most extraordinary chocolate maker the world has ever seen! 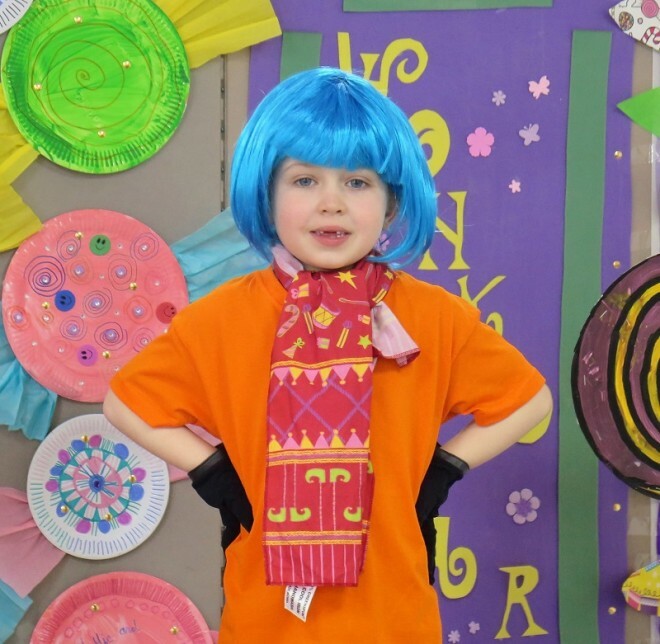 Click here to view more pictures of Charlie and the Chocolate Factory. 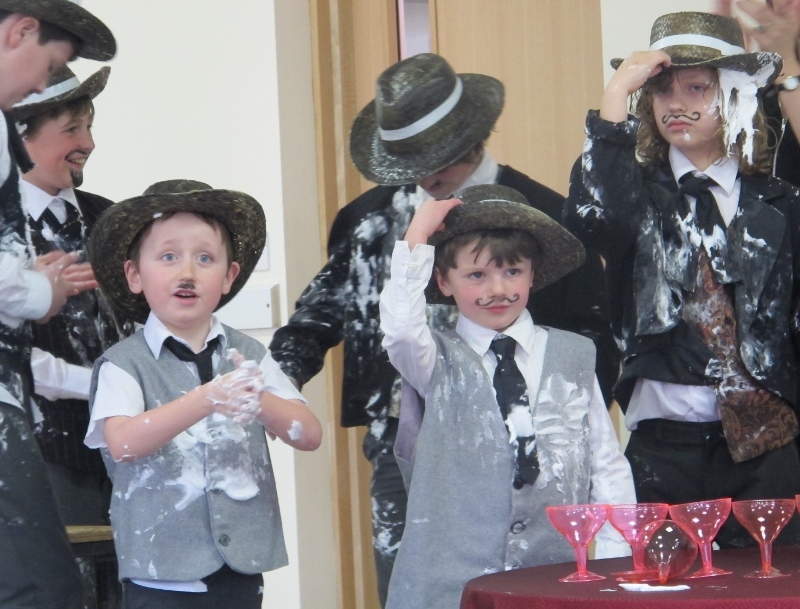 This Easter we journeyed back to the 1920’s and created our own version of the popular children’s musical Bugsy Malone. Our story followed the exploits of two rival gangs of bumbling, half-witted gangsters as they battled it out on the streets of New York. Bugsy, Tallulah, Blousey and all the gang danced in the coolest joint in town ‘Fat Sam’s Grand Slam’. Glitz, Glamour, Splurge Guns and the odd custard pie fight thrown in for good measure. Welcome to the magical kingdom of Zalonia where all is not as it first appears. The villagers live under the curse of a fiery dragon. The knights have tried to defeat the dragon in battle, the wizards have tried to break the curse with magic, but all have failed. Who will save the day?